Mice are afraid of men, a somewhat-unfortunate recent discovery that could have major implications for decades of laboratory-based science. The finding, published Monday in the Nature Methods journal, indicates that mice respond differently to men than they do to women, and that those differences could change their behavior and responses to stimuli. Researchers "found that exposure of mice and rats to male but not female experimenters produces pain inhibition," meaning the rodents registered less pain around men due to their anxiety, which can throw off biological reactions. When the men left, they'd begin exhibiting signs of being in pain again. 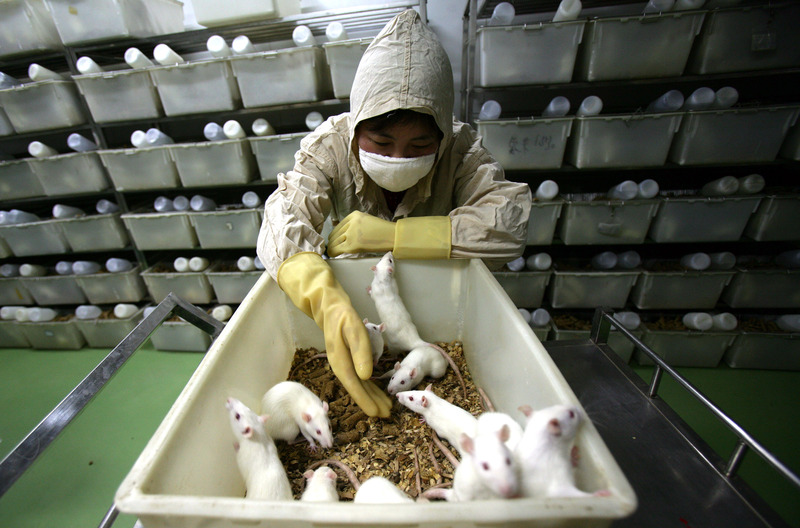 This is bad news, because mice are often the pillars on which scientific testing is based. Before we test things on ourselves, researchers usually test them on mice, a species that is extremely genetically similar and cheap to house, with short life cycles and biological and other characteristics that in many ways mirror those of humans. We need mice. And we need reliable mice — the variable reaction in mice could also explain how various labs get different results from mice while conducting the same studies. This is an example of things we should be taking into account, but we don’t. People simply don’t put in the methods section (of their published studies) what the gender of the experimenter was. But these data suggest that starting now, they really need to. The study by McGill University found that the fear reaction was directly related to smell. Female researchers could wear a shirt previously worn by a male researcher and get the same fearful reaction from the rodents. (Meaning the researchers have basically proven that male BO is in fact terrifying.) The smell emanating from men's armpits contain more and stronger odors and stimuli than those of women, researchers said. The response the researchers recorded died down after about 45 minutes, Mogil told The Verge, meaning men could just wait it out. But that sounds "too boring" to be a good solution, he said.